If you own a business in Florida, you may be considering selling alcohol. Restaurant, hotels, country clubs, airports, bowling alleys, cruise ships, theaters and even hospitals can sell alcohol as long as they have the appropriate liquor license. If you plan to sell liquor, beer or wine in Florida, you need a state issued license. The most valuable license is a quota license, which can be difficult to obtain. The only ways you can get one of the licenses is to (1) win one in the lottery, which happens only once a year, or (2) to purchase one. These licenses are based on population. One is available for every 7,500 residents, so more and more licenses become available as the number of residents increases. Prices for quota licenses vary based on supply and demand. They cannot be transferred from one county to another. However, they can be purchased, sold or transferred to other business owners within the same county. All three of these requirements must be met. If one or more requirements are not met, then the business will be issued a quota license instead. There are approximately 80 different subtypes of licenses in Florida. The licenses vary based on type of alcohol and location of sale. Florida has three dry counties: Lafayette, Liberty and Washington. There are specific licenses available to establishments in these counties. There are multiple licenses available for clubs as well. There are different types of clubs, including social clubs, clubs devoted to community development, benevolent associations and cultural clubs. There are also sports clubs such as golf clubs, tennis clubs and beach clubs. Each of these has its own license. There are also temporary permits available so that businesses can sell alcohol at certain events. These licenses last for one, two or three days. They can allow an establishment to expand their premises for a special event. There are also licenses for portable bars, manufacturers, warehouses and brand registrations. Obtaining a liquor license in Florida can be a complicated process. There are many subcategories of licensing and it is important for a business to have the right license or it could face fines and other penalties. Make sure you understand the laws when it comes to liquor licensing. 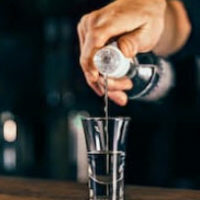 Orlando liquor licensing lawyer B.F. Godfrey from Godfrey Legal can help you understand your options, such as buying or transferring a license. Schedule a consultation by filling out the online form or calling (407) 890-0023.